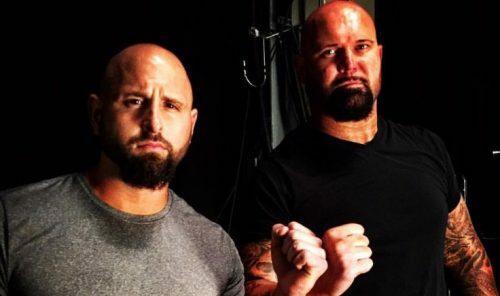 411Mania reports (via PWInsider) that Karl Anderson and Luke Gallows have been pulled from all upcoming WWE live events. Rumor has been that the two will not renew their contracts and will opt for free agency. The duo have been in WWE since the night after WrestleMania 32 in Dallas, and won the RAW Tag Team Titles one time. “PWInsider reports that Luke Gallows and Karl Anderson have been pulled from all of their scheduled WWE live events, fueling speculation that they may be on their way out of the company. It’s believed that the two turned down a five-year contract extension and are waiting to see what the wrestling landscape looks like closer to when their contracts expire. They are said to still be in talks with WWE but are not booked for anything other than TV tapings or PPV dates at this time. Check out their full story Right Here. We’ll continue to update this story as more becomes available.